The increasingly sophisticated and powerful information technology we are creating plays an ever more prominent role in facilitating interaction and cooperation in everyday life. The time has come to harness it in the service of scientific research. 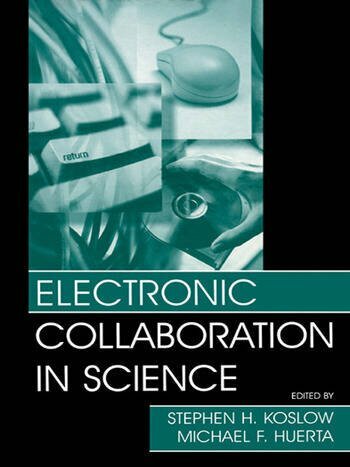 This pathbreaking book describes the technical and social challenges and opportunities of electronic collaboration and offers specific examples of the ways in which it has not only facilitated but in some cases enabled work by scientists. Key players all, the chapter authors illuminate the general issues with their first-hand accounts. Very few researchers today can work in isolation. Electronic Collaboration in Science provides the first clear road map for all whose investigations are leading them into this fascinating new multidisciplinary domain. Contents: W.A. Wulf, Foreword. S.H. Koslow, M.F. Huerta, Preface. G.M. Olson, T.A. Finholt, S.D. Teasley, Behavioral Aspects of Collaboratories. D.L. Burk, Intellectual Property Issues in Electronic Collaborations. P.M.D. Gray, G.J.L. Kemp, Federated Database Technology for Data Integration: Lessons From Bioinformatics. G. Cameron, P. Rogriguez-Tomé, R. Apweiler, Electonic Collaboration in Molecular Biology. R.T. Kouzes, Electronic Collaboration in Environmental and Physical Science Research. F.E. Bloom, W.G. Young, Electonic Collaboration: Implications for Neurosciences.